I like to colour. See? I have 3 boxes of crayons. I have THE BIG BOX with the BULIT-IN SHARPENER! Of course, I never use the sharpener. Colouring is a very relaxing thing to do. 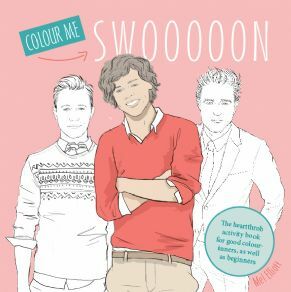 Good colouring books are hard to come by. Good colouring company is even harder to come by. I sometimes colour with my writer friend, Lisa Barry (she writes bitchin’ emotional and moody historical romance with spies and shipwrecks and Queen Victoria). Lisa is also a very good colour-inner. Not only does she understand the importance of Disney Princesses having the properly coloured rose-red lips, she pay attention to small details; she colours backgrounds. Best of all, she doesn’t press too hard when she colours, so she never, ever wears down the crayon into a nub. She also never breaks the crayons. 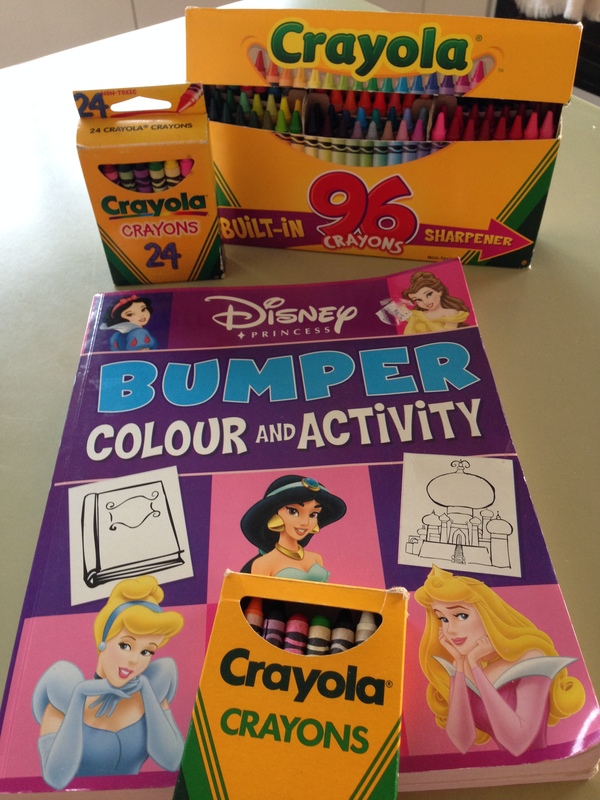 Another very dear friend (a librarian, aka Vassiliki, The Shallowreader) discovered I had a love for colouring. Vassiliki mentioned this book the other day when she was on 702 ABC Radio Sydney with Linda Mottram last week. The topic was Swoon Reads. There are crossword puzzles and word jumbles and Idris Elba and Joseph Gordon-Levitt to colour and Anagrams and Michael Fassbender and German AND FART JOKES! Seriously. There’s a fart joke. On page 122. OH thank you my dear librarian friend, Vassiliki! You know of my love for colouring and and my love of fart humour, and you made my day! 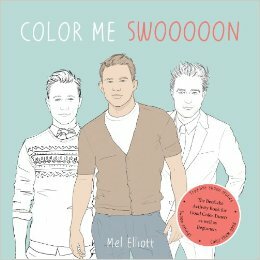 Do you think Mel Elliott made this colouring book JUST for me? I wonder if Lisa is free? Lovely Lisa would be a very good colourer-inner. She especially seems to like the colour purple. You should have a joint exhibition of your best work. I’m free! I’m free! I have a ship being smashed against rocks, but hang it… I’m free! Can’t wait to see your new colouring book and to show you mine. It’s one from work. It’s full of gorgeous little ads that didn’t make it into the world. Poor little souls. No fart jokes though. Dang it!